Why Should You Not Compromise on Your Laptop Purchase? While many basic laptops are quite affordable, a higher-end model might serve your purposes better, especially in the long run. It doesn’t make sense to compromise on quality, configuration and features that provide the best experience, simply because of a difference in price. After all, this isn’t something you buy every day! Even if you plan to upgrade your laptop sometime in the future, you should always get the machine you need, not the one for which you settled. 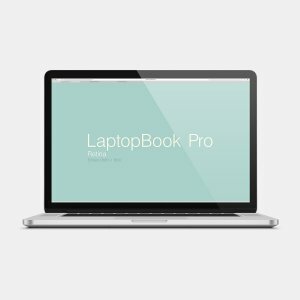 Practically every store provides exchange offers on laptop upgrades, and you will get a better discount when you trade in a high-end laptop than just a basic one. Investing in a pricey laptop can seem quite scary if you’re considering an outright purchase. Still, you don’t need to drain your savings, rely on a traditional bank loan or max out your credit card to get your hands on one. With a personal loan from MoneyTap, you can select your desired laptop and create a customized repayment plan that works for you. Quick Approval – Unlike loans from banks and financial institutions, the approval process for a MoneyTap credit line is quick, easy and hassle-free. Instant Disbursal – As soon as you receive approval for a MoneyTap personal loan, the entire approved credit limit will be available at your fingertips. Get the Best Deal – MoneyTap provides you with a credit card, which you can use to grab limited-time deals and discounted prices, online or offline. Keep Your Savings – MoneyTap’s laptop loan keeps you from wiping out your savings, breaking a fixed deposit or cashing in investments for the purchase. Choose Your EMIs – With MoneyTap, you can choose flexible EMI terms ranging from 2 to 36 months according to your financial abilities and convenience. Pay Down the Loan – Unlike traditional bank loans, MoneyTap allows you to pay more than the EMI amount when you have spare funds, without penalty. Stay on Budget – Instead of making a lump-sum payment for a laptop purchase, MoneyTap’s flexible EMIs help you stay on track with your monthly budget. If you’ve been putting off a laptop purchase because of low funds, MoneyTap can put your worries to rest. Download the app today! Why Leave the City? Get Pampered at these Luxury Resorts/Hotels in Vizag this Weekend!